These pictures made me happy today! A mommy friend sent them to me after a wonderful 5-year-old lady spent the whole afternoon coloring and repeating Spanish words they had read together! She actually told her mom her favorite colors were azul and rosa! Isn't that awesome? 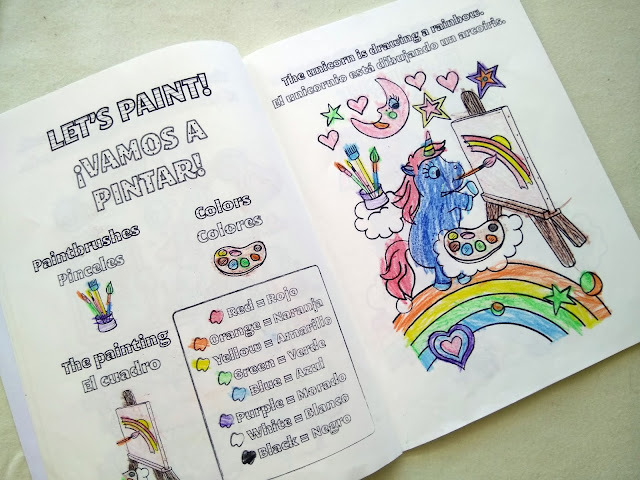 So, for those of you who were wondering what my Cheerful Unicorn Bilingual Books (this is the Spanish-English one) look like from the inside, I decided to paste her pictures (with the artist's permission, of course!). I think this girl is very talented and she will come far, not only painting but also speaking Spanish! I can't wait to go on another playdate so she can tell me all those new Spanish words. If you enjoyed it and you want to drop me a line or even send some pictures of your kid's art, please do! I am always so happy to get such emails! 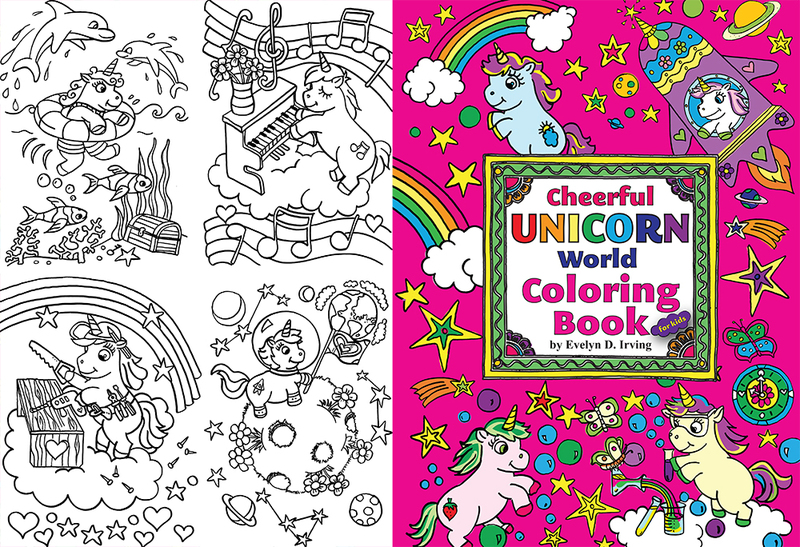 Welcome to the Cheerful World of Unicorns, a coloring book for kids which will allow you to peek into the daily lives of true Unicorns. 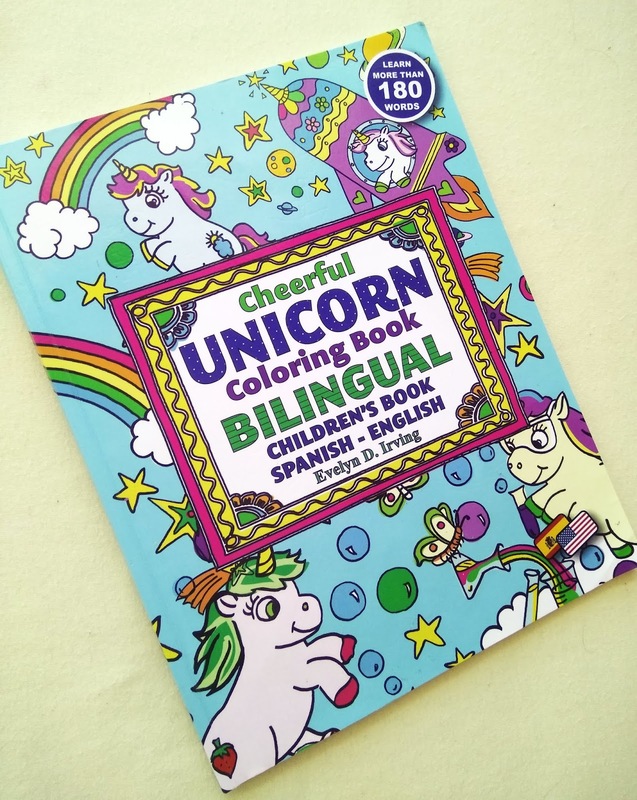 A perfect and fun present for creative children who love cute and smart Unicorns. 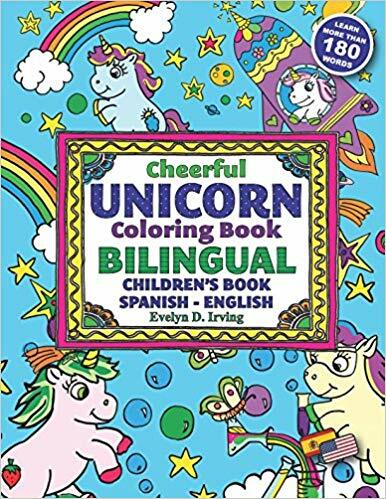 A perfect and fun present for creative children who love cute and smart Unicorns. In this magical Unicorn coloring book, you will meet brave astronaut unicorns and smart scientist Unicorns. And of course many whimsical, dreamy and magical creatures who slide on cute rainbows and chase stars, and who will delight imaginative children and adults alike. 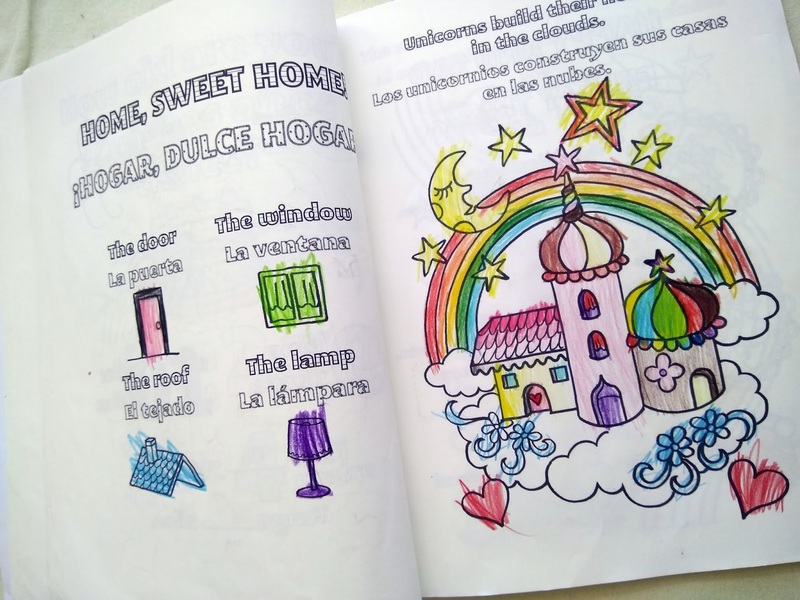 This Unicorn Coloring Book is meant for girls, boys and anyone who loves coloring, children's books and joyful Unicorn scenes. In this coloring book for kids and adults, you will find many Unicorn coloring pages in a handy A4 format. 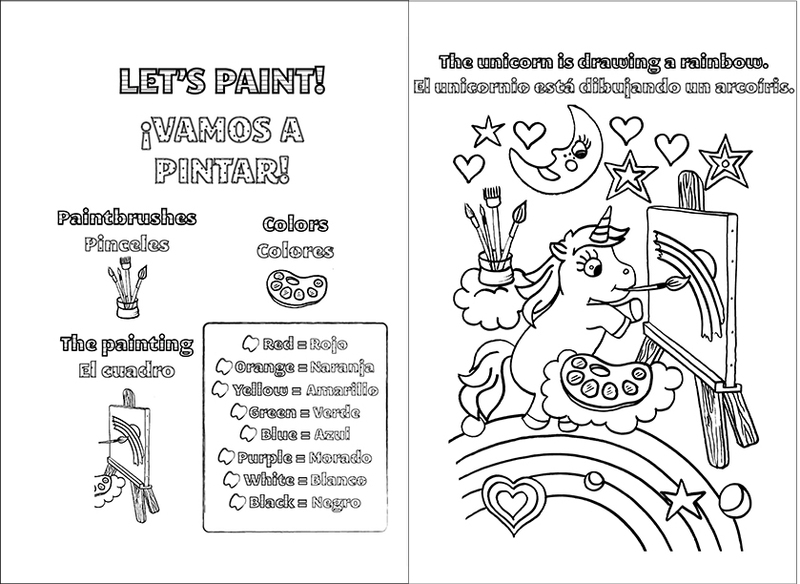 Our Cheerful Unicorn coloring pages are a fun and creative way to spend a rainy afternoon or an overseas flight. Get this wonderful gift for the young, artsy people in your life, and feel the magic by yourself!